Alvarez, Baggs, Behringer, Clayton, Coda, Crate, D'Addario, Dimarzio, Elixer, EMG, Ernie Ball, Fishman, GHS, Graph Tech, Hohner, Hosa, Korg, LaBella, Levy, Martin, McSpadden, Mel Bay, Oscar Schmidt, Rapco, Remo, Shure, Sperzel, Ultimate, Yorkville, and more. 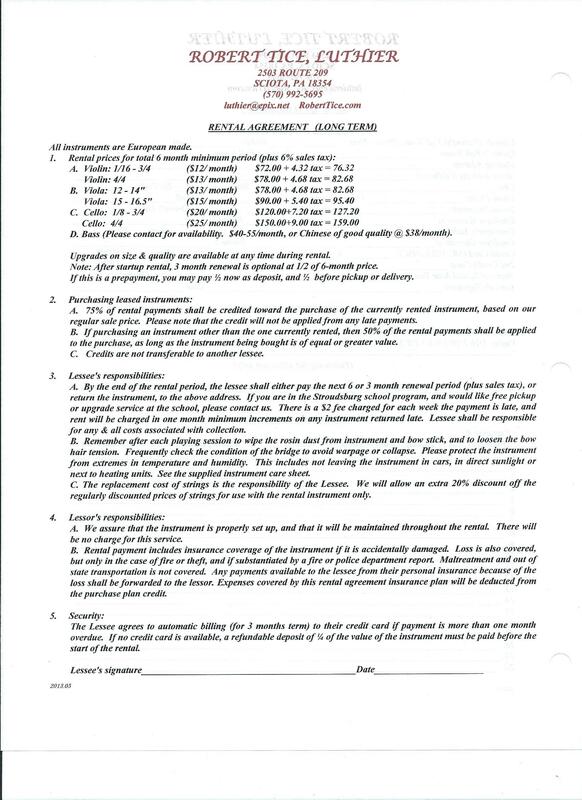 All stringed instruments, including bowed and fretted (acoustic and electric, including amps), are available for rent, starting at $10 per month. *Note: The images below are jpegs. Please click on either MS-WORD or PDF link to download the forms in either format. Please print the forms back to back on one sheet. 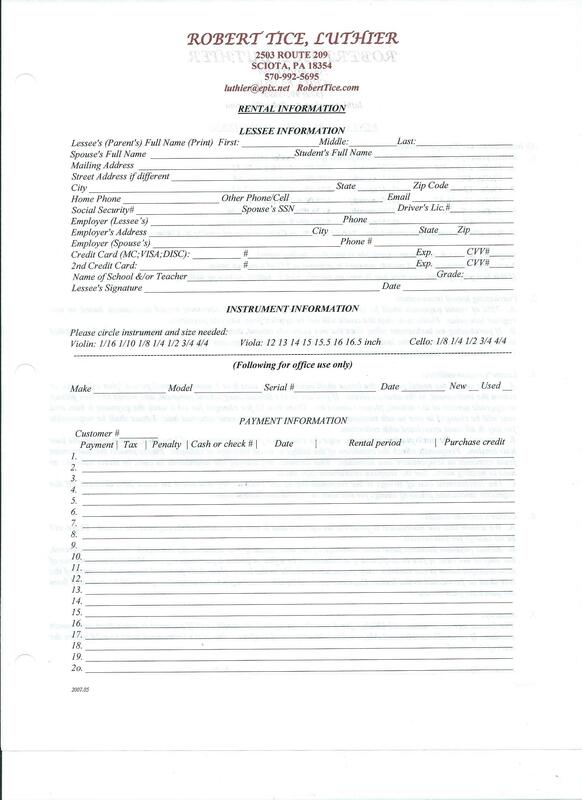 If these forms do not come out as pictured below, then you can download this Word Reader or Adobe Acrobat to your computer, to read and print these documents. With left arm fully extended, measure (using a yard stick) from the neck to the middle of the palm. Conveniently close to Brodheadsville, Stroudsburg, East Stroudsburg, Bartonsville, Tannersville, Mount Pocono, Wind Gap, Nazareth, Lehighton, Lehigh Valley (Allentown, Bethlehem, Easton), and New Jersey. We do not offer lessons at our shop. Please see the following list of Local Musical Instrument Teachers.